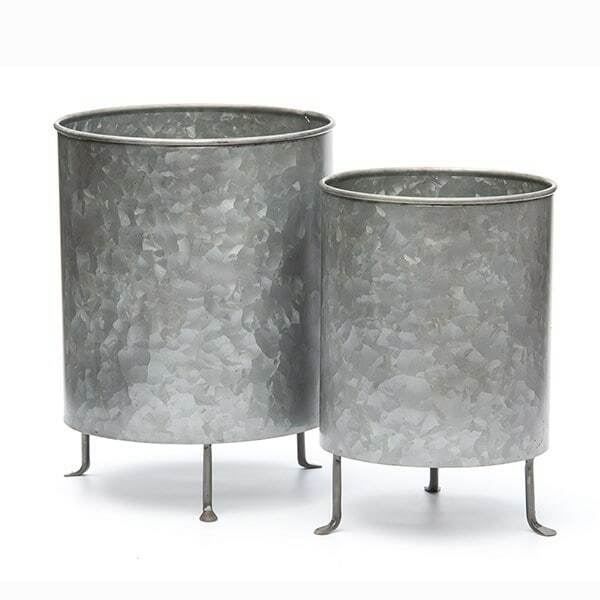 These robust metal cylinder planters are perfect for making the most of smaller spaces. Made from rust-resistant galvanised steel, each has a tripod stand to raise it off the ground and keep the patio or deck free of pot stains. Supplied without drainage holes. If using outdoors, simply drill holes in the base before filling with with soil. A little paint applied around the holes will act as a seal to protect exposed metal from rust. Available in a choice of sizes.